Once in a while a few things come out at about the same time and seem to just go together. This is one of those outfits. I think the inspiration was the yummy fur stole from Coco. But the new hair with knit cap from Vintage McMillan at Epoque and the lace-up socks from noju made it all come together. 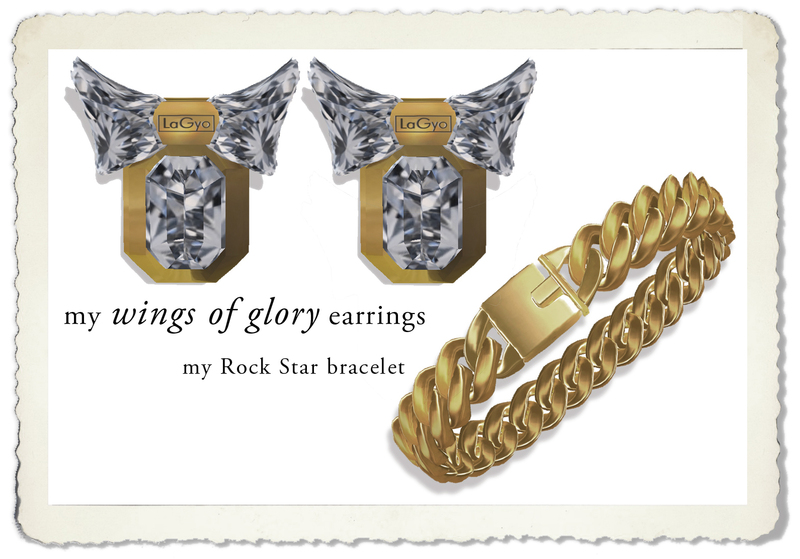 I added the vintage looking earrings from LaGyo, Wings of Glory, (love the name) and the rock star bracelet by Stiletto Moody for a little shine. 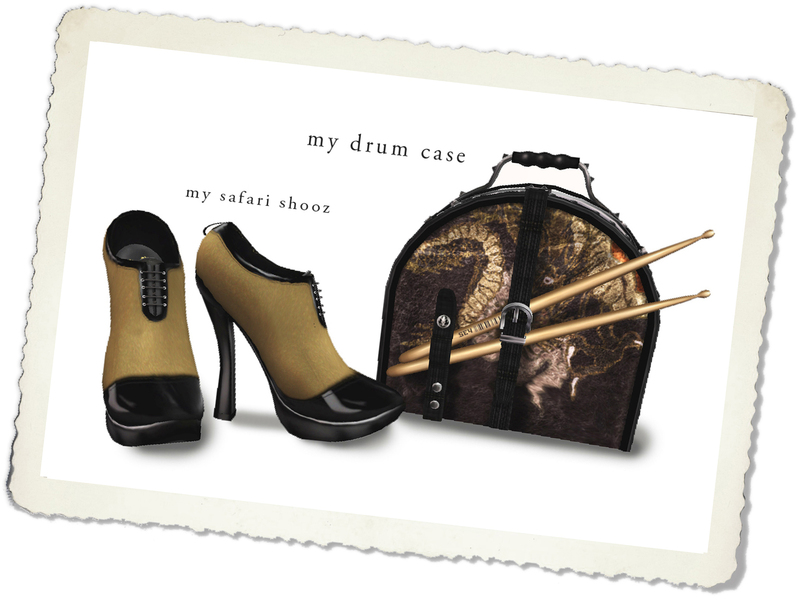 And then, just when I thought it was finished, I found the drum case from sey…I love it as a purse. So here it is…I’m feeling all vintagey tonight! And happy Halloween everyone! Sometimes it’s a color that starts an outfit. In this case I wanted to wear the beautiful blue Lelutka jacket and I started there. Everything I am wearing was already in my “closet” except for my wonderful new hair and hat from Lamb! The boots from J’s are fairly new too. I did buy the fatpack which gives you all the color choices. I know when I bought it I thought I would never need the blue boots but… here they are and the color is great… not really too blue, a tasteful blue-grey color. 🙂 The detailing on these boots is exceptional and they come in two versions, the one I am wearing and a shorter one to wear with pants. Good idea! I had to include a snapshot with the detail of the hose from Tyranny. I especially love them with the cute, cute bows and the stitching detail on the back. I have a weakness for hose, socks and tights so when I found these I bought every color….They are really versatile too, high enough that you can wear them under skirts or knee-length pants without seeing the band at the top. I added one of the Zaara embroided shawls that came out last year and that I still adore…they are so beautiful. The jacket is layered over an old stand-by, the Armidi Gisaci Rainy Day dress. I have this in several colors and it makes a great wardrobe staple. So this may be a little summery for the newly cool weather here in the Northern hemisphere but hey, it’s still warm in Phil’s world!